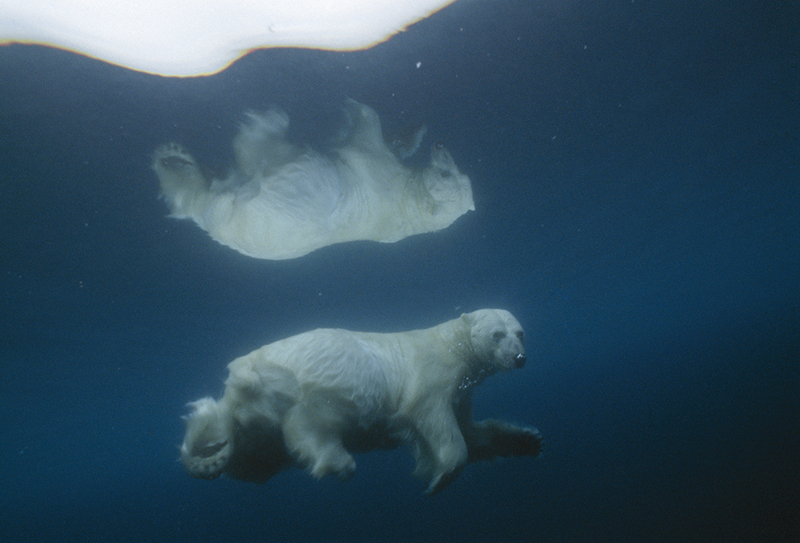 Its image mirrored in icy water, a polar bear swims submerged. 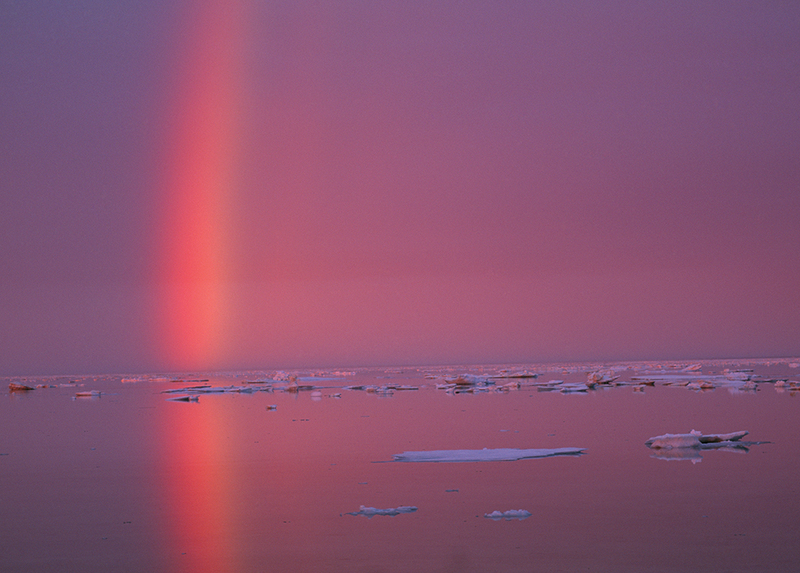 Lancaster Sound, Northwest Territories, Canada. 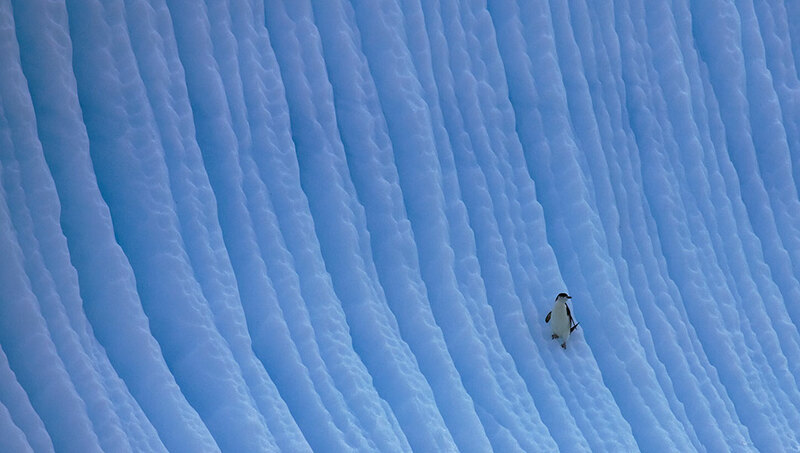 An airborne emperor penguin at the edge of an ice floe. Cape Washington, Ross Sea, Antarctica. 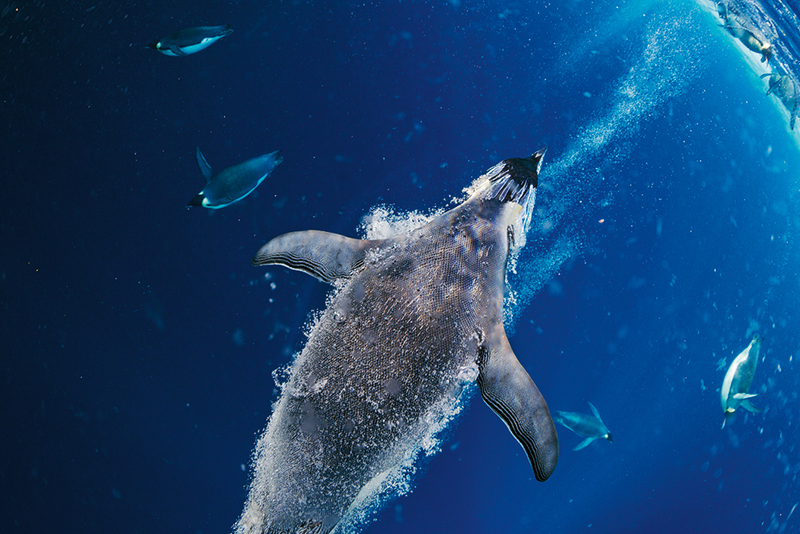 Penguin feathers seal out water and trap air in a downy underlayer. 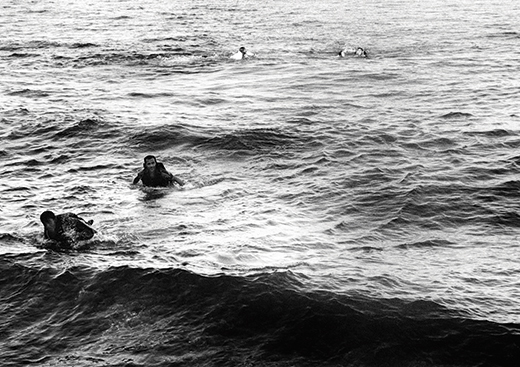 Cape Washington, Ross Sea, Antarctica. 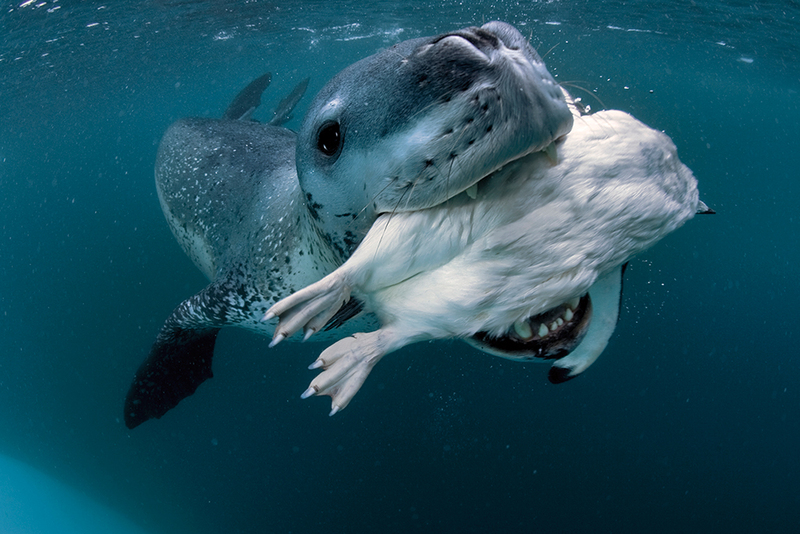 A female leopard seal presents her kill to the photographer. 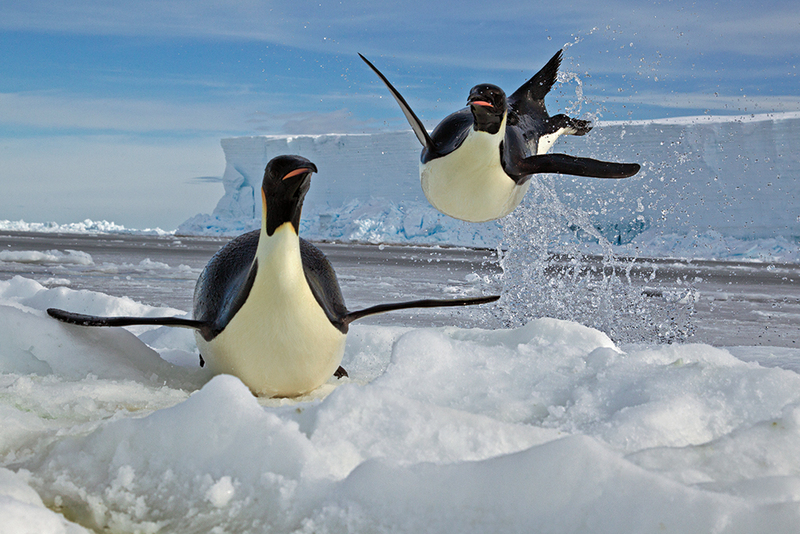 Antarctic Peninsula, Antarctica.